I haven’t been updating this blog as often as I’d like, so I had this little idea that once in a while I’d take a little look back at something I’ve done, or somewhere I’ve been somewhere in the past. 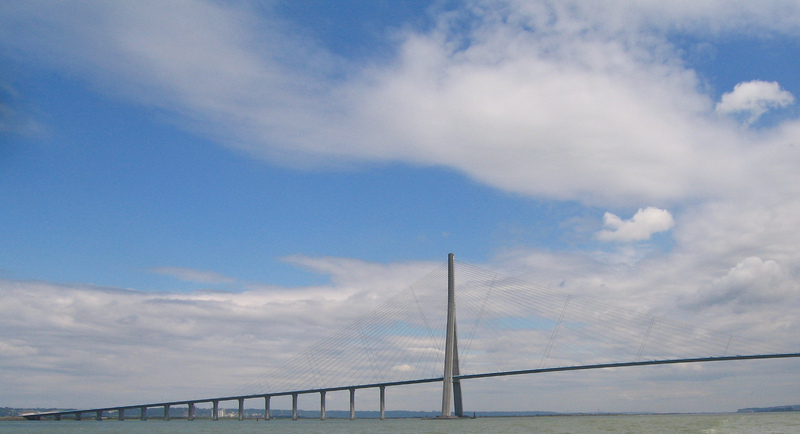 Today, I’m going to share some of my experiences of a 16 day trip to France in 2005; just me and my car. The main reason for going was because I fancied touring abroad in my new (to me) Audi Cabiolet. I didn’t plan a lot in advance. In fact all I did plan ahead were the Channel Tunnel crossings there and back. I booked them the day before I left. Another day before that was when I decided I was going to go on holiday. The Tunnel crossing was incredibly early in the morning, and by the time I set out I had decided on a few stop off points along the north coast of France that I thought I’d like to see. From Lyme Regis I set out at some time around midnight. By about 4pm local time I had been to, and been very disappointed with, the few places I’d wanted to see, and had ended up in St Malo, having already driven for 15 hours. By now I realise I could have got a seven-hour night ferry and six hours of sleep, but it turns out that this is the only thing I would have changed about the whole experience. That said, it was a fantastic drive. The campsite I had previously visited was completely full, despite my pleading that the tent I had was minuscule, so I scouted out a bit, and found a site in the nearby village of La Richardais, for the princely sum of €4 per night (it was actually less than that but I don’t remember exactly). I stayed three nights here to get used to being in a foreign country on my own with nothing but the contents of the tiny boot for support. I had decided that my main aim of the holiday would be to get down to Millau in the south of France, to see the recently opened Viaduc du Millau. Seven years later I still haven’t seen it. Leaving Saint-Malo I headed south and stopped off in Saumur. I spent another few days here, and explored numerous places. 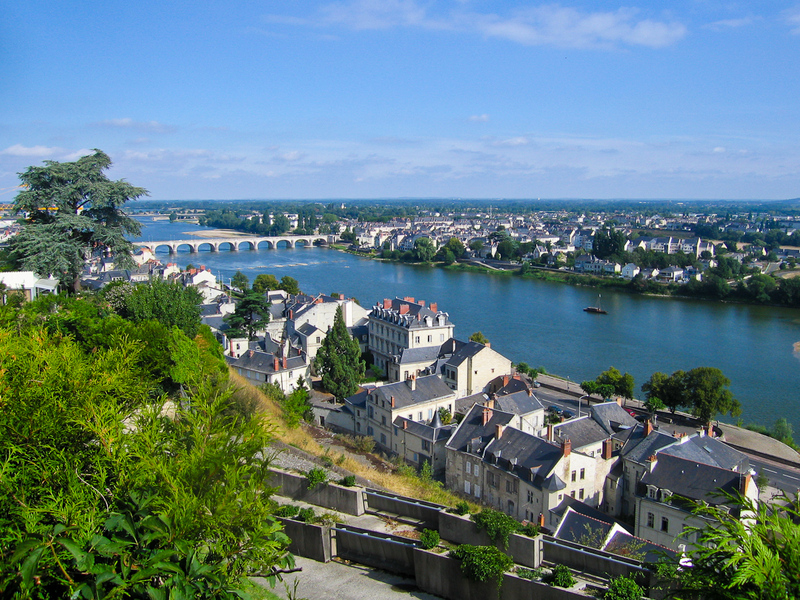 I ventured out to Chinon, upstream a little. here I went round the chateau, and on an exploratory walk, I discovered the remains of some troglodytic dwellings in the hillside above the town. For the days I spent here, I didn’t actually explore Saumur itself very much, and the chateau was closed for refurbishment while I was there. 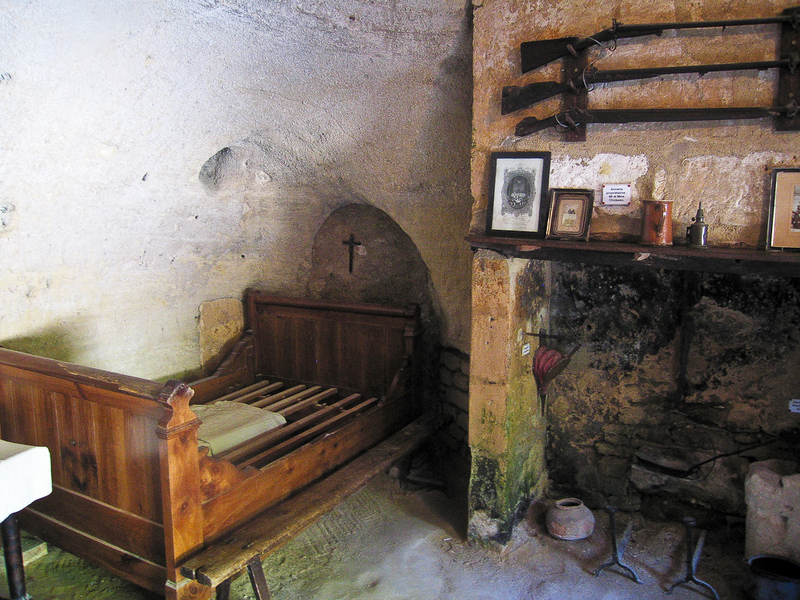 I also visited Rochemenier, a relatively intact cave-dwelling village, dug into an area of open flat land. 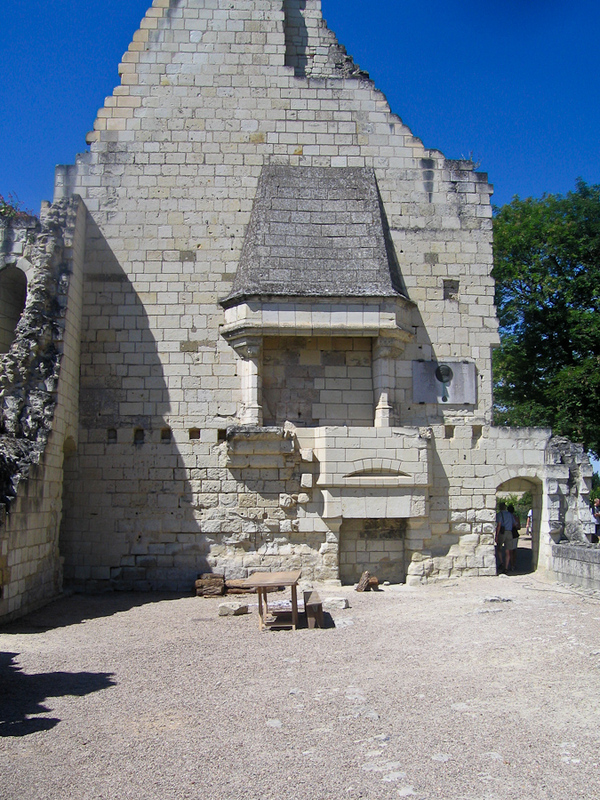 There is a beautiful carved out chapel, and a room set up how it would have been inhabited. Next I set out and headed south, but it was approaching the french summer bank holiday, and there were numerous serious traffic accidents, so I decided I would head directly west, towards the coast. and ended up in La Rochelle. Many campsites were full, so I just drove until I found one, in a field in Esnandes, just a few miles north. Here they had a restaurant, of sorts, which was actually some wooden posts with corrugated iron sheets on top. I got chatting to the site owner, and she suggested that I stick around until the next evening, when there would be a show celebrating 60 years since the Germans left the village after the Second World War. 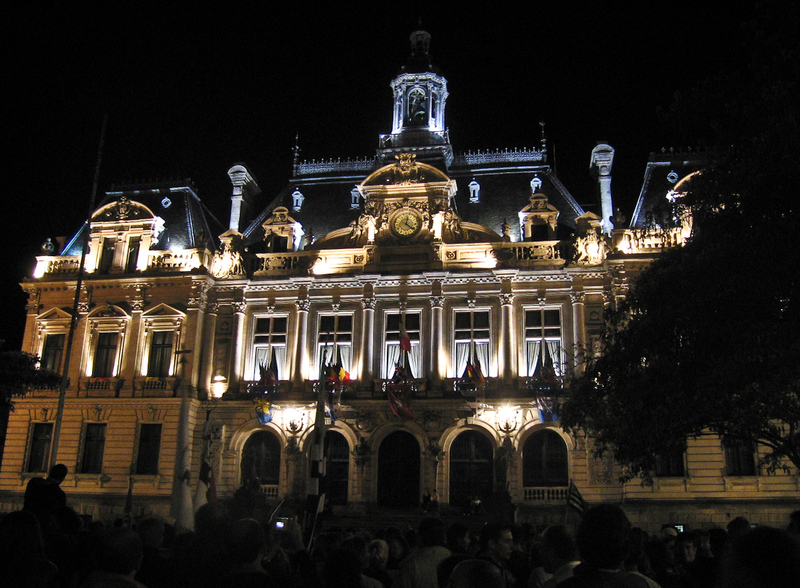 This show turned out to last nearly 24 hours, including a fair with military displays and music all day, followed by an evening concert, and a Son et Lumière display. Before this show, Esnandes appeared to me to be a tiny sleepy town with barely any shops. The hour-long Son et Lumière display started at nearly midnight, and featured the church as the set, with thousands and thousands of people sitting to watch. A sound system had been set up around the entire field, and the show featured people recounting stories, puppets reenacting events, illuminated water fountains, and a massive firework display. Even after this the event wasn’t over, with an open sided marquee and dance floor with DJ, playing on until gone 4am. What a show that was. Next stop: Vannes, and again I stumbled upon a great festival; the Fêtes d’Arvor [www.fetes-arvor.org]. It’s a traditional annual festival to elect the new ‘Reine’, or queen of the Brittany region. 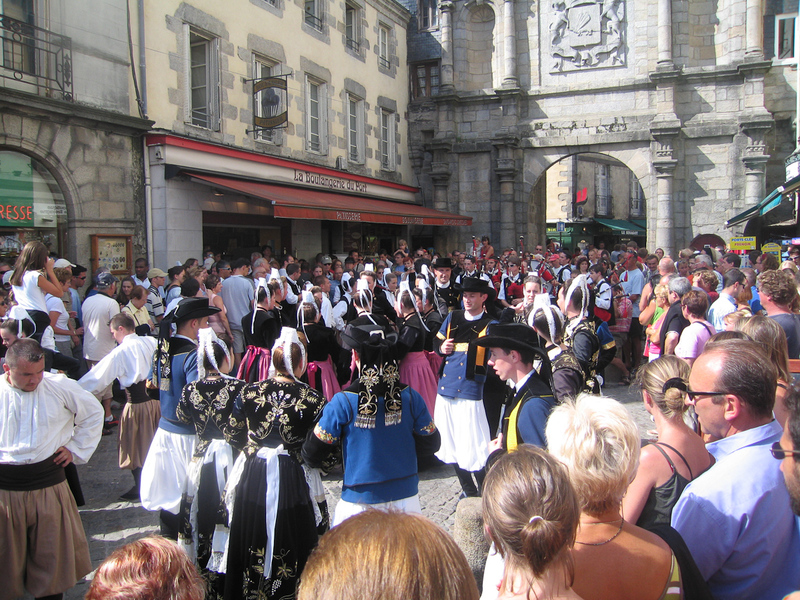 Groups come from villages and towns across Brittany in their traditional costume, and take part in a procession through the town, each with music and dance, a parade lasting several hours. 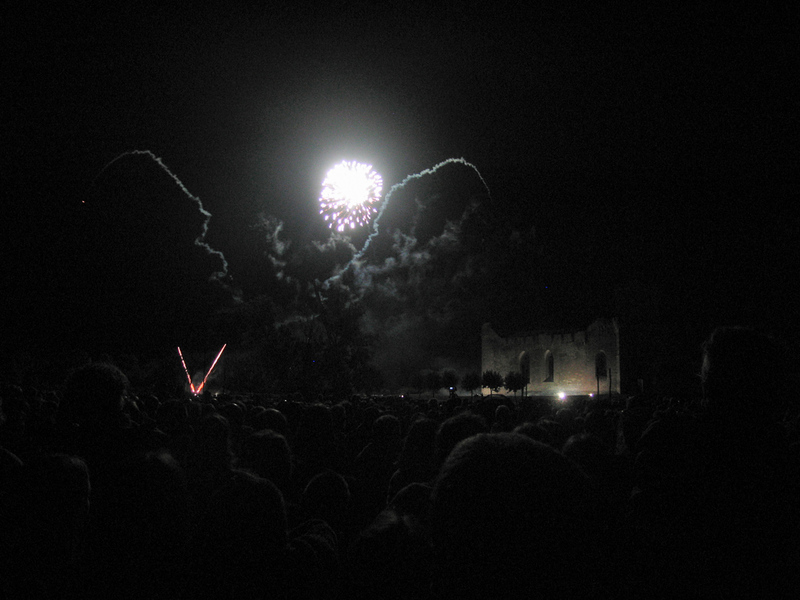 It culminated in the most amazing fireworks display I’ve ever seen, launched from the ramparts of some of the old town walls, and the whole display was timed perfectly to music. The last stop before the trip home was a few nights in Deauville exploring its surroundings. 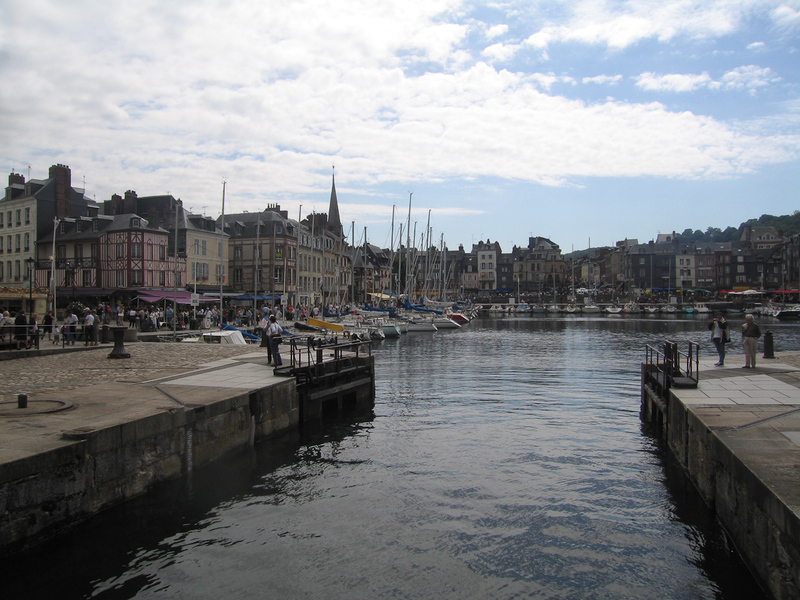 I visited Honfleur, a beautiful town with lovely buildings surrounding an old port, and I took a boat trip, so that I could go under the impressive Pont de Normandie. Driving back home, I drove over it too. I love driving in France, the roads are exceptionally good; you just don’t get the potholes that are all over the place here, there is less traffic too, and I found driving on the wrong side of the road that much easier having the roof down, because with a quick glance over either shoulder, I had no blind spot to worry about. I ended up driving just over 2500 miles in the 16 days I was away.